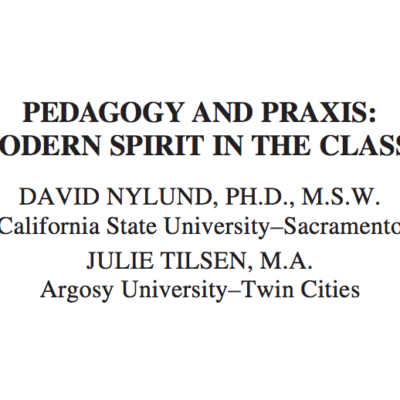 This paper will provide a brief history of parent education and a postmodern critique of its origins and methods. Parent education has existed in some form in this country since the early nineteenth century and is considered a typical task of family therapy. Based on modernist notions of a universal construction of childhood and informed by the theories from which developmental psychology emerged, parent education has been critiqued as representing Eurocentric, middle-class values. This paper will provide a brief history of parent education and a postmodern critique of its origins and methods. An alternative narrative therapy practice that brings forward parents’ insider knowledge is reviewed and presented in a case vignette of a session with the parents of a 10-year-old boy.